I finally made the trip out to Bedford, PA to the National Museum of the American Coverlet. I arrived about 3:00 PM Thursday and, since it was mid-winter, I was the only person there. Located in an old Schoolhouse, the Museum has very tall ceilings and spacious rooms. I was greeted by Mr. Laszlo Zongor who, with his wife Melinda, are the curators. Mr. Zongor gave me a personal tour of the museum and, for the next 2 hours, told me the history of the American Coverlet and its importance to our early economy. 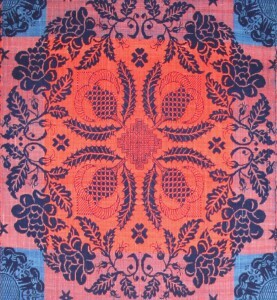 He also explained that these coverlets are a true American art form. 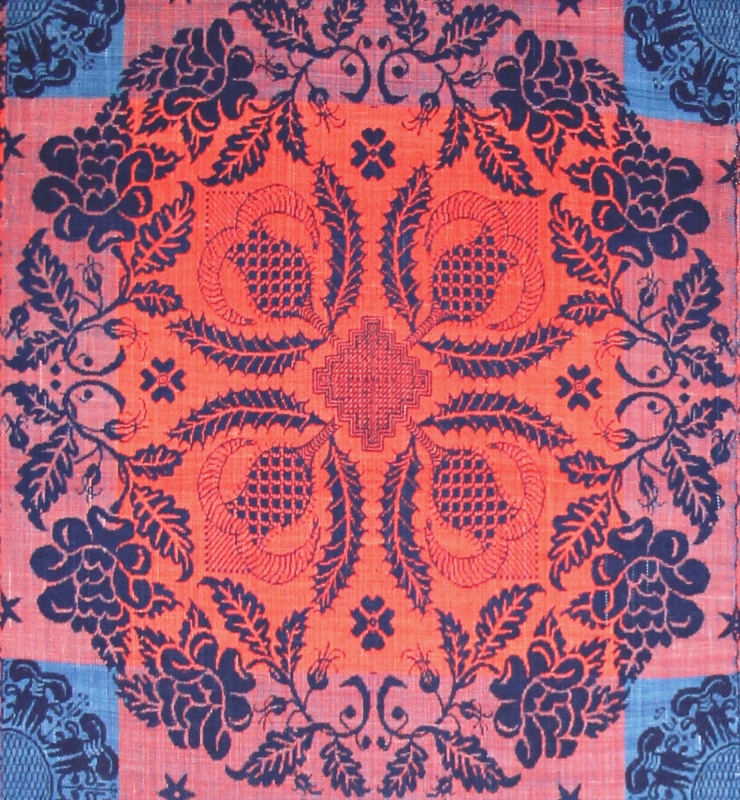 As cultures blended in the 1800’s, he explained, the patterns and motifs in the coverlet designs also blended. He then showed me examples of coverlets with Scottish, German, and English influences. There is simply too much history to relate in my humble blog post. 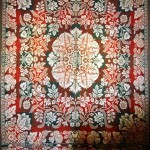 The above photo is of one square in a coverlet. This one is of a thistle and was blended in with German-style motifs. 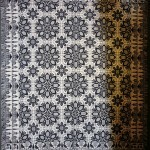 From a distance, and to the untrained eye, these look like printed fabrics. 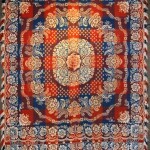 The designs are so intricate that its hard to believe they are woven into the fabric. Also interesting is the fact that the pattern is exactly the same on the reverse side of the coverlet, but in opposite colors. 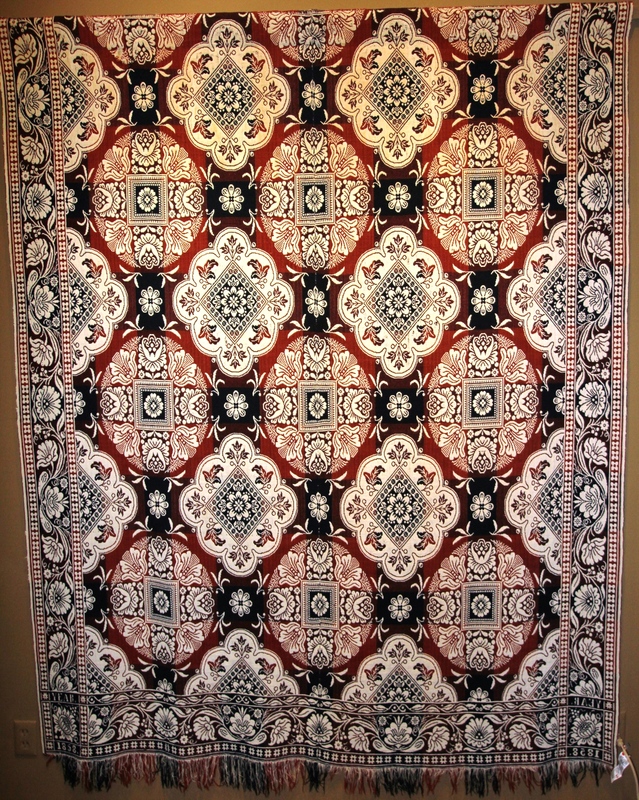 Even more amazing is the fact that these handwoven coverlets were woven in 2 pieces! Anyone who has woven knows that keeping an even beat with the reed is a challenge. So, weaving 2 sides of a coverlet, and then having them match up side by side is a master-level skill. 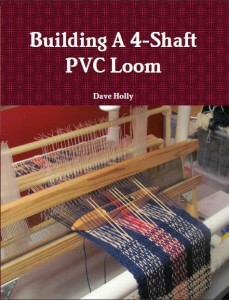 Since the maximum width that any one person can weave by hand is 45 inches, these looms were approx. 4 feet wide. 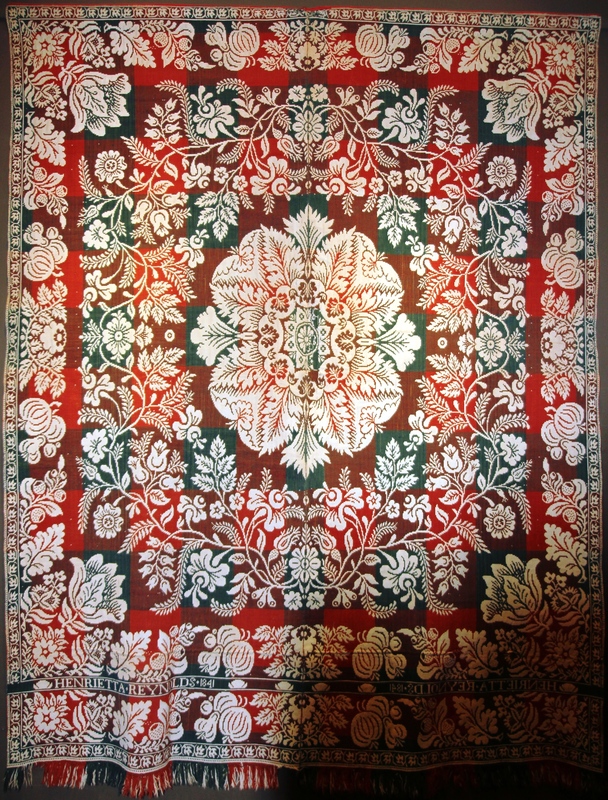 If you see a 6 foot wide coverlet that is not made from 2 halves, it was made on a power loom. And, here is their very old barn loom that is awaiting conversion to become a Jacquard Loom. Mr. Zongor explained that looms such as these were often converted to Jacquard Looms by removing the harnesses and treadles and installing a “Jacquard Box” on top. 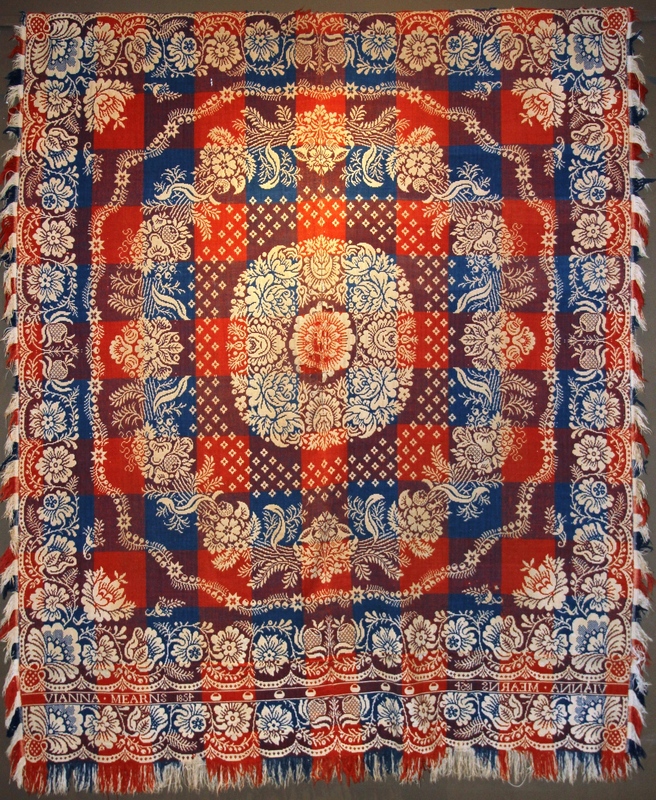 A standard bed coverlet required 2,000 punched cards on the Jacquard Loom. Here is a closeup of a deck of cards. This deck only represents the draft needed to insert the name and date for the customer as shown in the coverlet on the left. 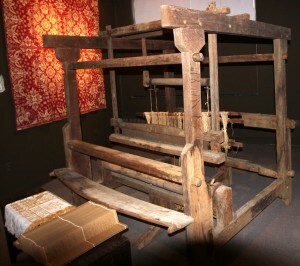 The Jacquard Loom permitted names and dates, which are impossible with other hand looms without using a labor intensive pick-up technique. 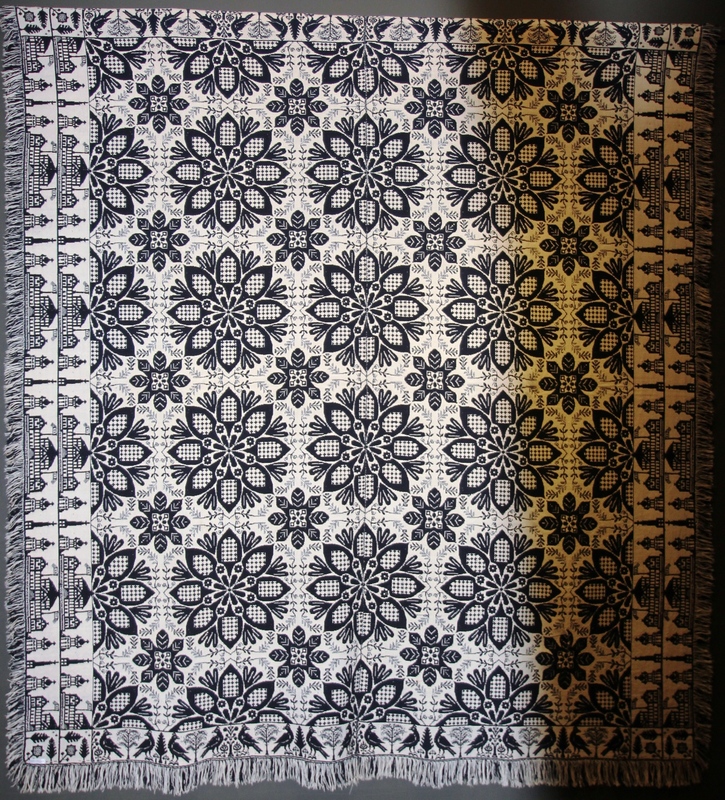 The museum gift shop has lots of Jacquard-woven table runners and fabrics you can purchase. They are made on restored Jacquard looms by Family Heirloom Weavers, which is located just south of York, PA. Their coverlets and fabrics are very authentic and have been used by Hollywood in period movies, like 3:10 To Yuma. I bought a very beautiful German-style table runner with birds and roses. It was a great trip, and I hope to return soon after they restore the Jacquard Loom. 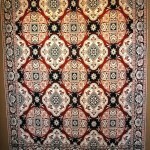 Here are some photos of complete coverlets.